BRITISH RAIL DIESEL ERA MISCELLANY. Photographs in this gallery are of odds 'n' sods like stations, signalboxes, wagons, etc. Some of these pictures were taken by me, all have been bought and are part of my collection. These pictures are published for pleasure/information/research purposes only and are not for sale or copy under any circumstances. Information in captions has been researched as thoroughly as possible but its accuracy cannot be guaranteed. 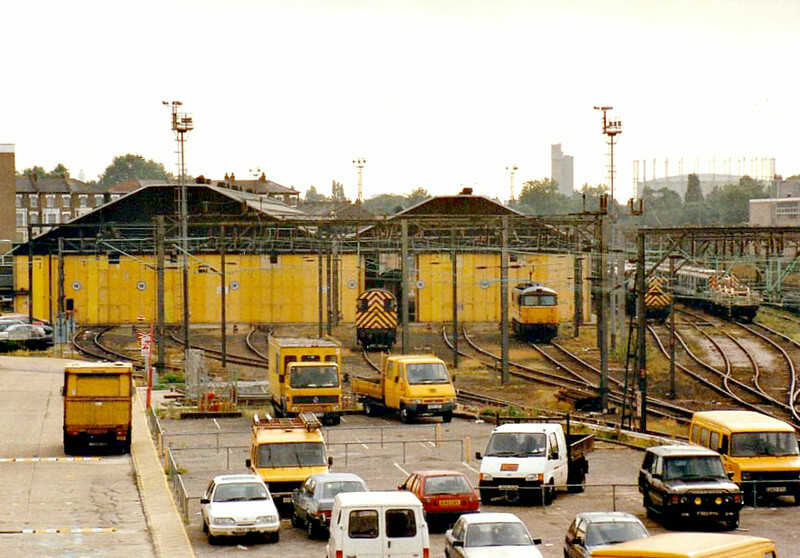 WILLESDEN TRACTION MAINTENANCE DEPOT - looking south from the bridge at Willesden Junction, 26/09/96.